Toru Furuya is a legendary Japanese voice actor coming to NYC for the first time! Voicing anime characters for over 50 years, he's most known as Tuxedo Mask in Sailor Moon, Amuro Ray in Mobile Suit Gundam, Yamcha in Dragon Ball, Sabo in One Piece, Pegasus Seiya in Saint Seiya, and Rei Furuya in Detective Conan. 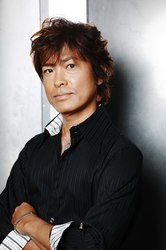 Beyond these heroes, Furuya's provided voices in well over 100 more series and movies including Black Jack, Bleach, Casshern Sins, Dr. Slump, Eureka Seven: Hi-Evolution, Expelled from Paradise, Galaxy Express 999, Gintama, Gundam 00, Kimagure Orange Road, Lupin III, Marmalade Boy, Paprika, Samurai Pizza Cats, Space Battleship Yamato, and more.